The unique Sheraton Kona Resort and Spa at Keauhou Bay is a modern and refined resort hotel on the southern shore of Keauhou Bay, six miles south of Kona. Located on lava rock cliffs overlooking Keauhou Bay, the Sheraton is the only resort hotel south of the resort area along the Kohala Coast. Situated on 22 oceanfront acres, the location provides easy access to ocean activities such as paddle boarding, kayaking, fishing, surfing, snorkeling and boat tours. On site, Keauhou Bay Adventures provides ocean gear and equipment. 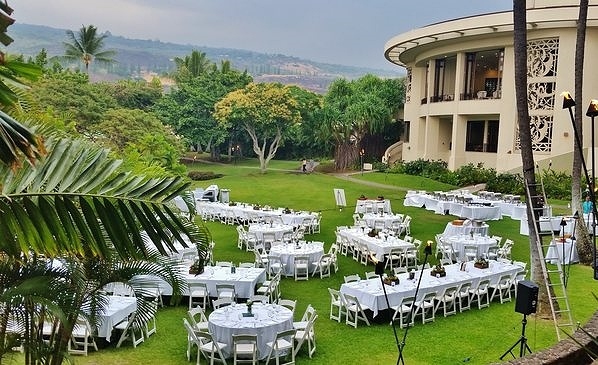 Adjacent to the Kona Country Club, there are also two tennis courts, basketball court, sand volleyball court and 24-hour fitness center on the property. Other activities include hula lessons, ukulele lessons, and lei making. The Sheraton has 485 rooms and 24 suites, three restaurants plus coffee shop, retail shops, lounge, spa and an enormous outdoor pool. 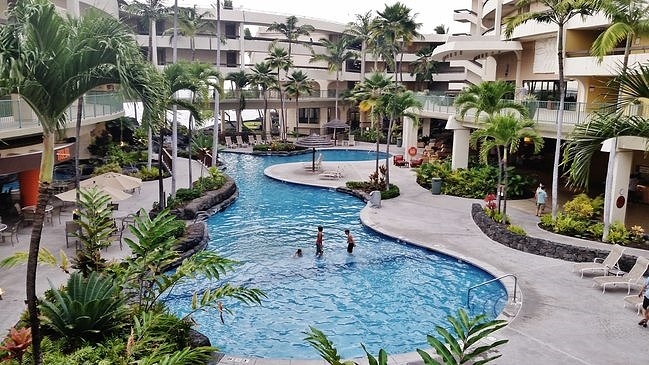 The resort is very family oriented with a great kids center, gaming area and “fantasy pool” with waterfall and 200-foot lava tube waterslide. The closest substantial beach is Kahalu’u Beach Park, 2 miles north on Ali’i Drive. The Haleo Luau dinner and show is held in the resort’s own lavish 1.5 acre outdoor luau gardens on Mondays and Fridays. Come experience the history of Keauhou coming to life through hula and song while enjoying a traditional Hawaiian feast. Or dine at Rays on the Bay, a restaurant that offers guests the opportunity to enjoy nightly live music by a fire pit while watching manta rays swim below in the open ocean. Planning a wedding? The Sheraton hotel's own Bayview Wedding Gardens offers the only wedding chapel on the coast. 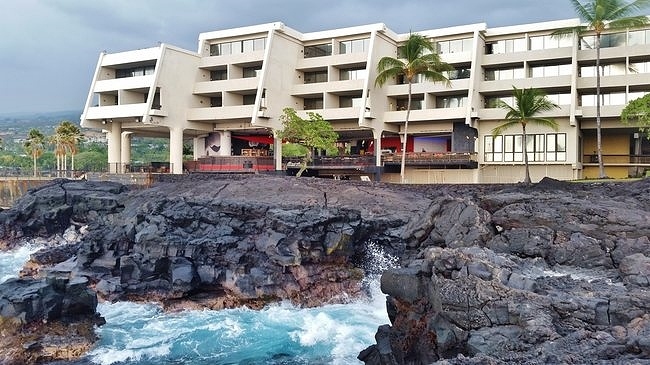 Built in 1971, the hotel originally opened as the Kona Surf Hotel. It closed in June, 2000 after falling into disrepair when the Japanese owners were unable to keep up with mounting debt following the Asian financial crisis. Following a four year closure and $70 million in renovations, the hotel reopened in 2004 under new ownership as the Sheraton Keauhou Bay Resort & Spa, with a focus on Hawaiian culture and the history of Keauhou. To celebrate another $20 million renewal that was completed in 2012, the hotel was renamed Sheraton Kona Resort & Spa at Keauhou Bay. The location of the hotel is convenient to Keauhou Shopping Mall (1.5 miles) and south Kona sights like Kealakekua Bay, Captain Cook and Pu'uhonua o Honaunau.